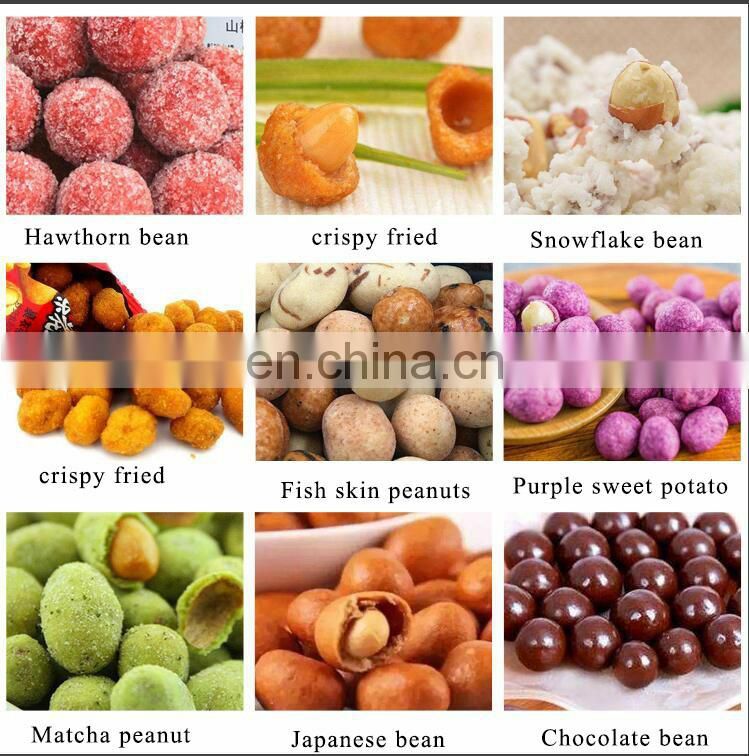 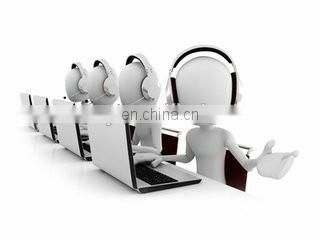 This series of equipment can produce more than ten kinds of products such as Japanese bean, fish skin peanut, crispy fruit, full mouth incense, dinosaur incense, shrimp crispy bean and spicy bean. 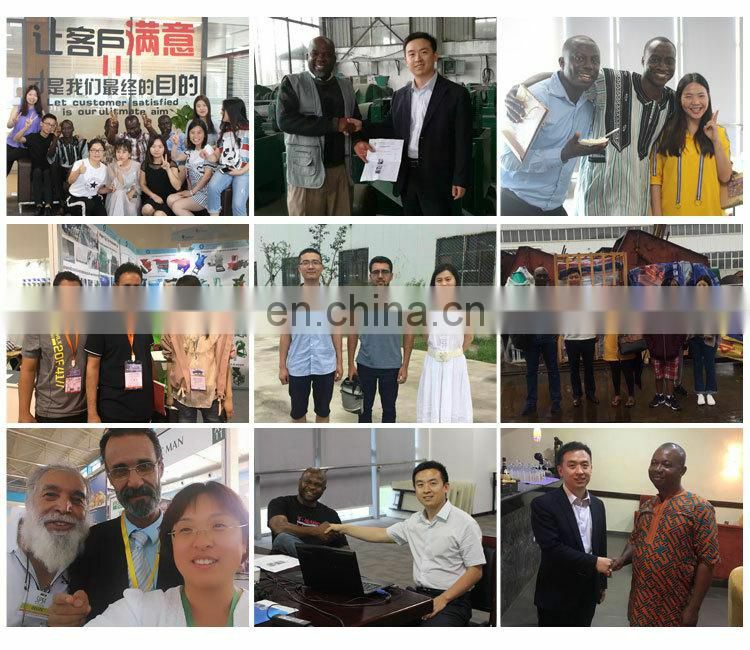 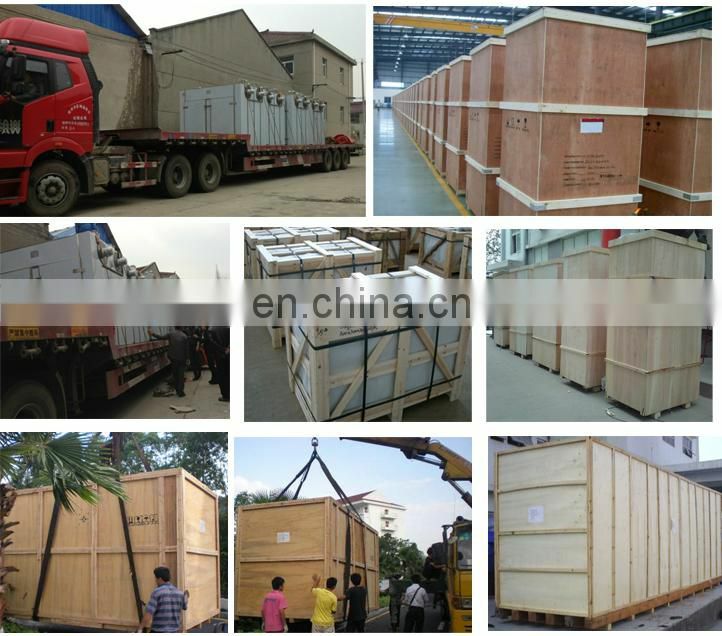 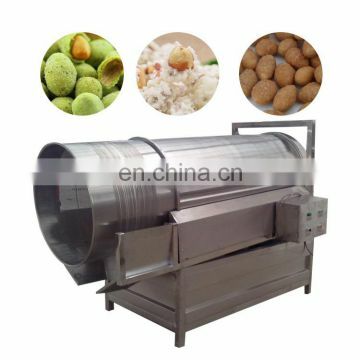 Roaster,Peanut peeling machine,Sugar-coated machine,Particle swing roaster,Seasoning machine,Cooling machine and packaging machine. 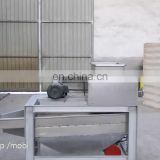 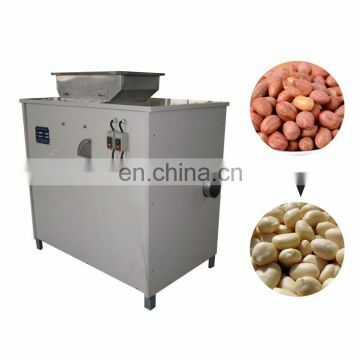 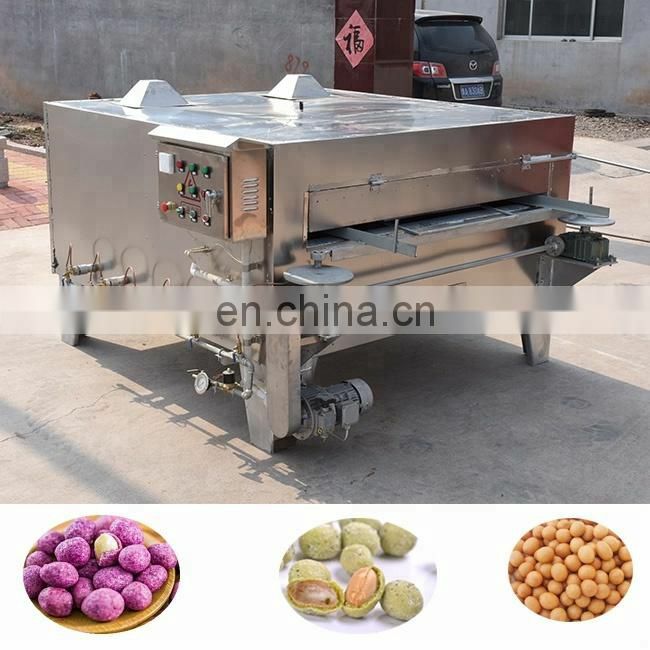 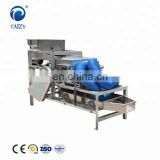 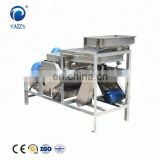 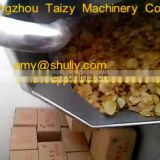 This roasting machine is a small drying equipment, can be fried peanuts, soybeans, rapeseed, sunflower and other oil crops. 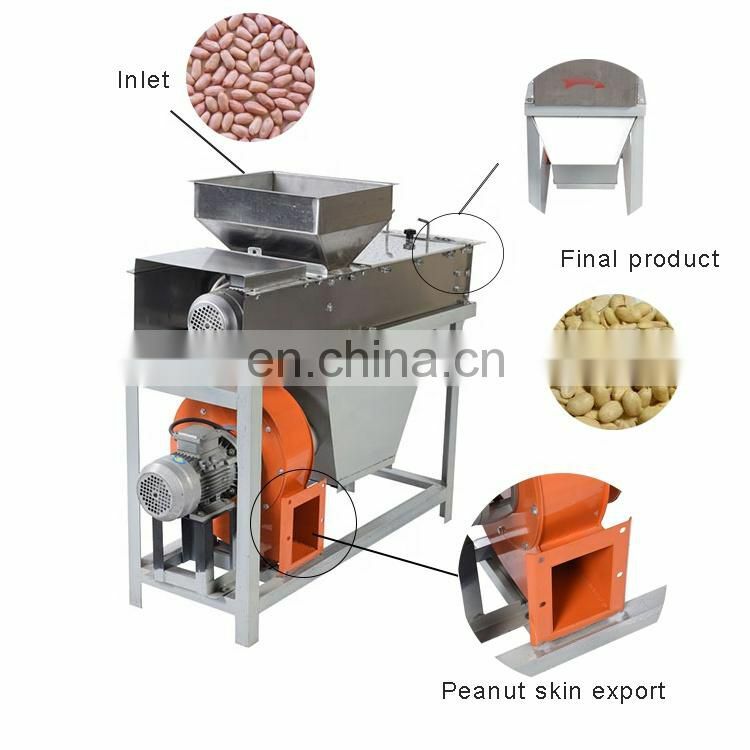 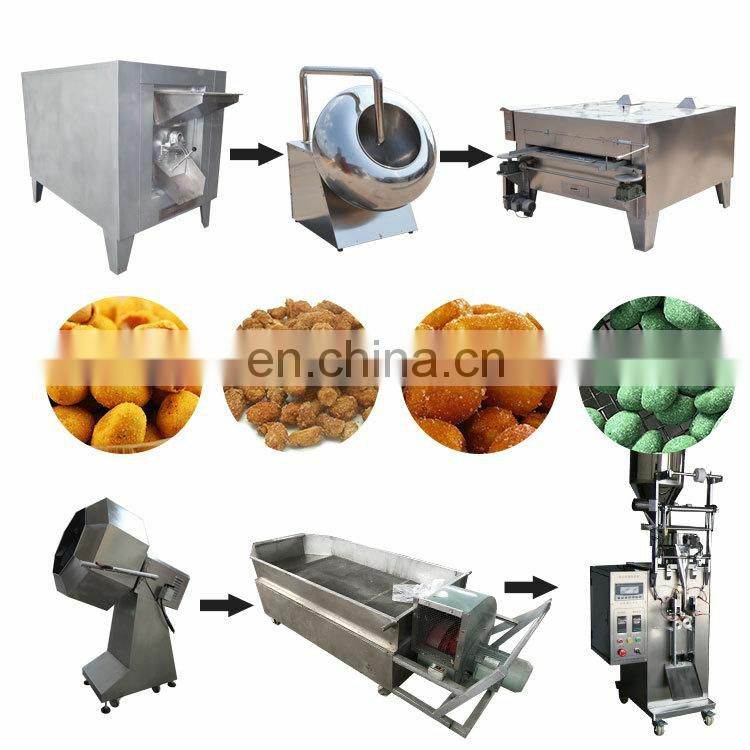 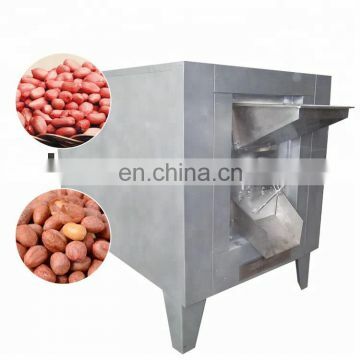 Dry way peanut peeling machine is an advanced peeling machine for blanched peanuts.The red coat will be separated from the peanut kernel automatically. 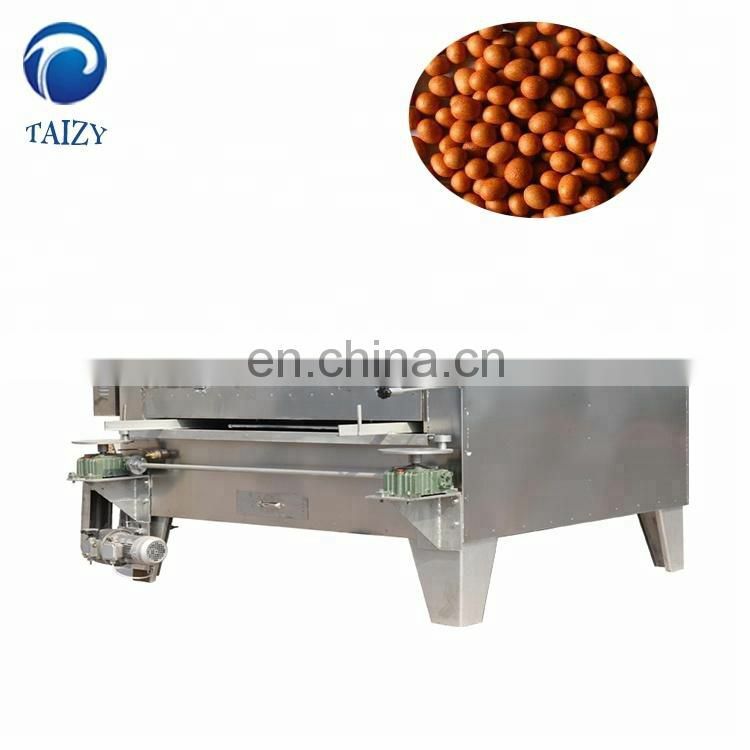 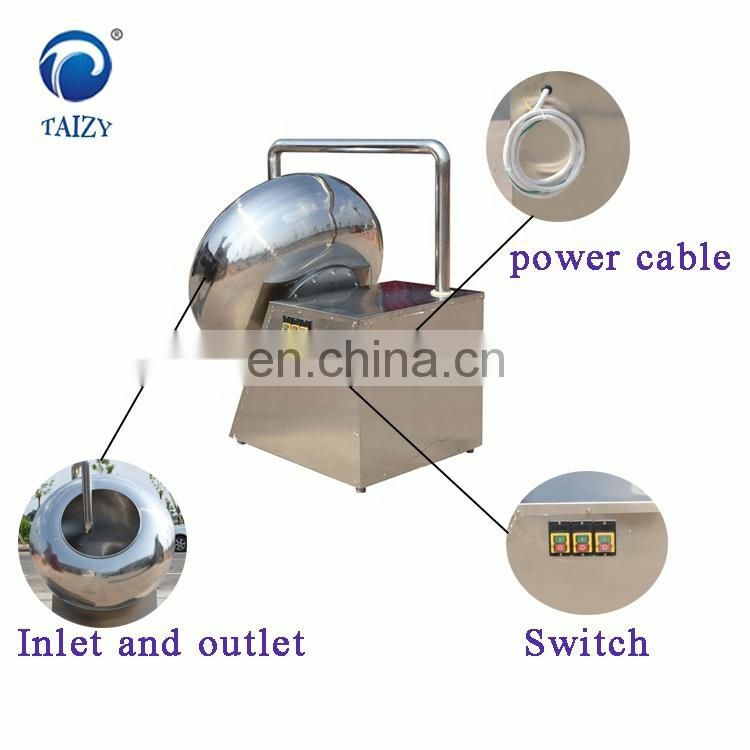 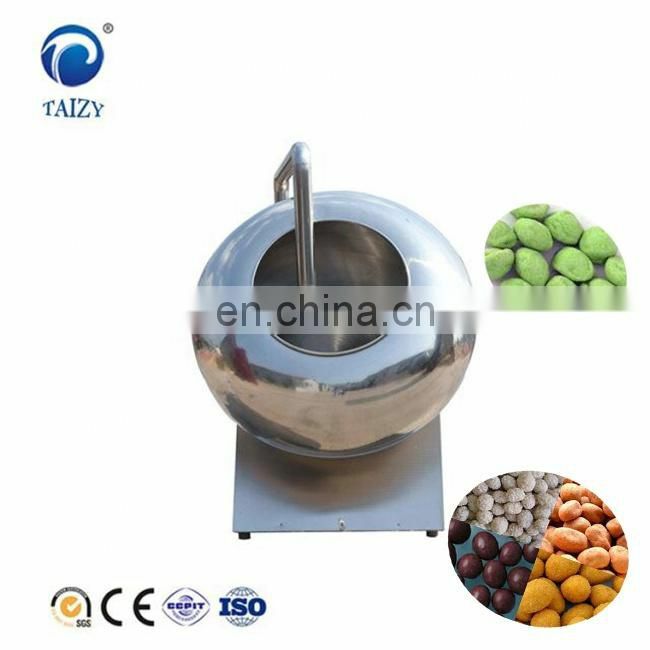 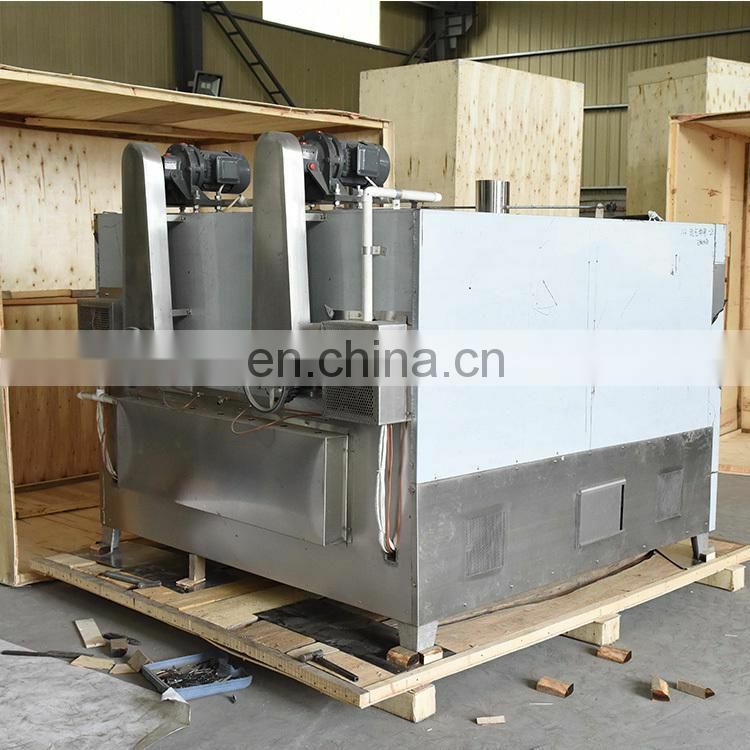 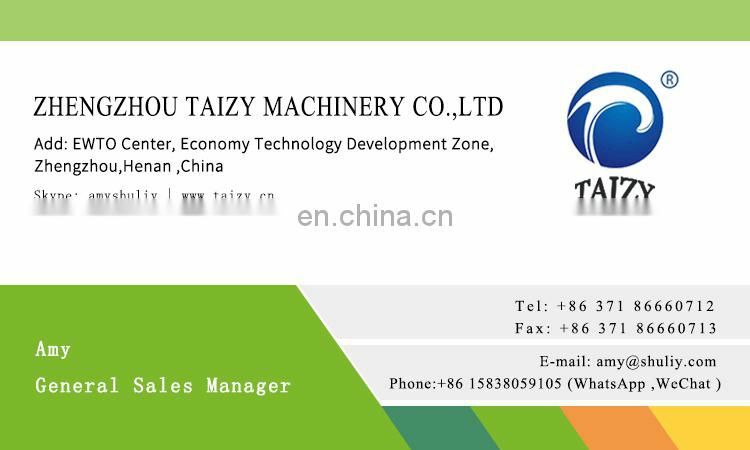 This machine is applicable to the baking of the pellet food,make the material to be heated evenly,so as to achieve the desired effect. 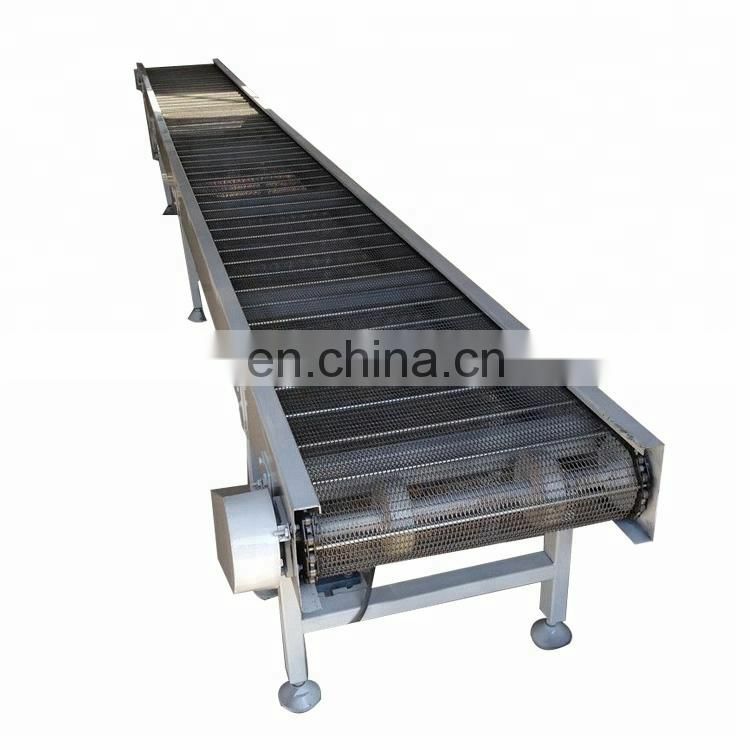 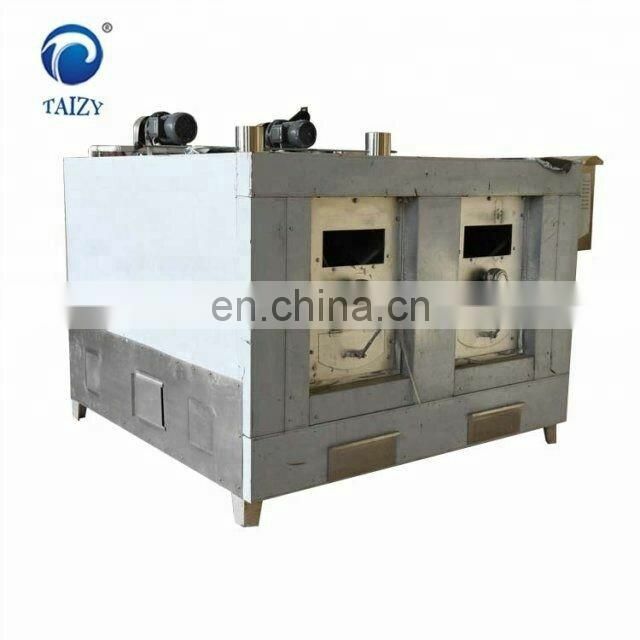 Cooling plate is used for cooling the products and to improve the productivity and shorten the production cycle. 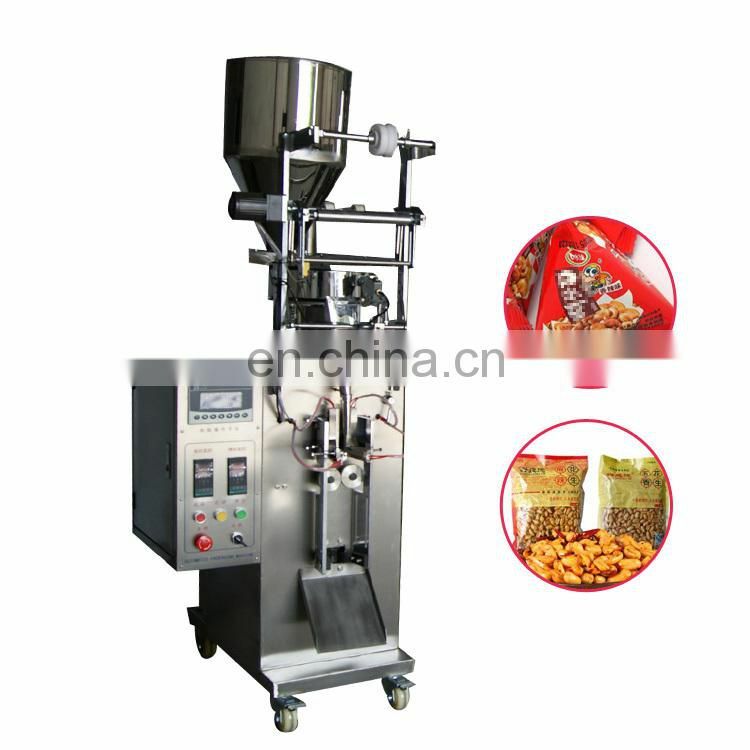 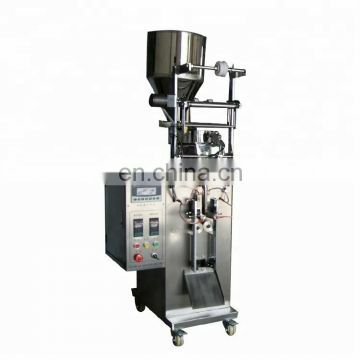 Automatic granule packaging machine adopts PLC control bag length regulation and adjustable volumetric cups for measurement. 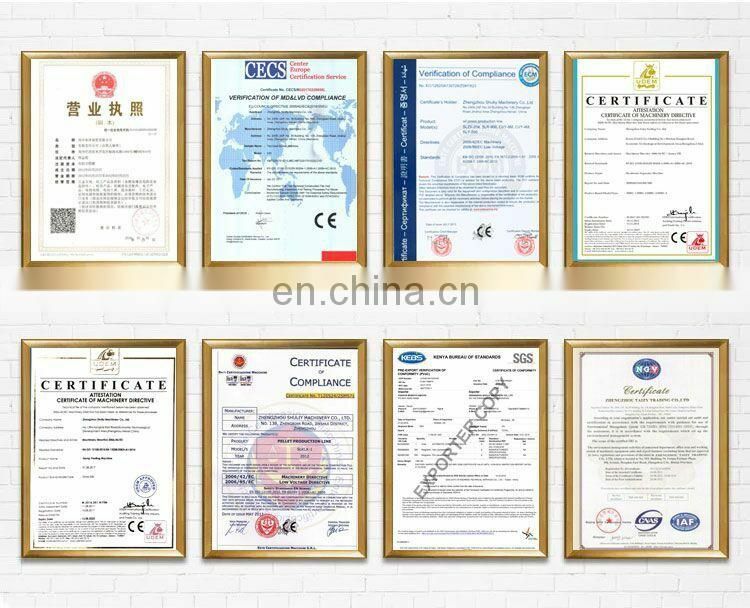 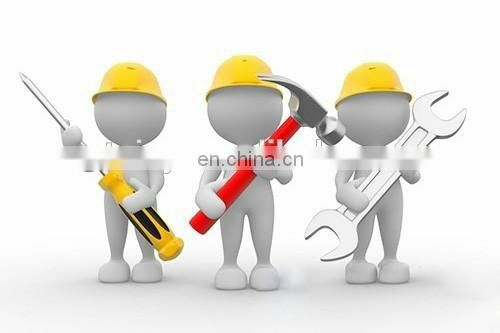 It is suitable for heat sealable compound materials such as single Paper/PE, Cellophane/PE, Aluminum foil /PE, BOPP/PE, Nylon/PE etc.